Having to raise a Pokemon may sound really easy, but there are certain things that are needed out of wannabe trainers that very few actually realise. It takes a hell lot than you think to raise a monster in a healthy way and the crew behind Detective Pikachu realised this the hard way. 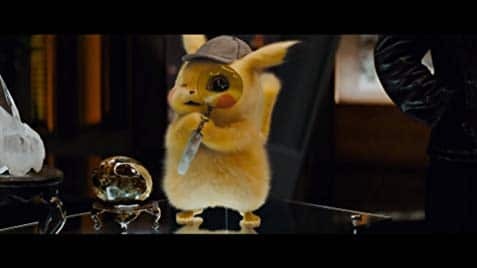 A new bit of info about Detective Pikachu has now surfaced among fans. Publications started to report on their time spent on the set of the film, and IGN later revealed some information from the film’s visual effects producer, Greg Baxter. Baxter revealed that he had to learn a lot about Pokemons and the crash course he took came straightaway from The Pokemon Company. As stated by Baxter, his team decided to design a lifelike version of Sawk, a Pokemon who wears a martial arts gi. The artists came up with many, but they got shocking feedback from Pokemon Company on their drafts. “We found out that the outfit is actually it’s skin,” Baxter said. As per the producer, the same note was left for other characters like Mr Mime and Machamp. It looks like all other Pokemon who appear to be wearing clothes of any sort are actually wearing skin suits. So this is a fun fact that all Pokemon fans can take a whip at a party. Detective Pikachu will release on May 10.